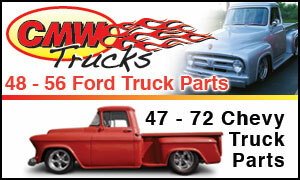 You will find many, many vintage trucks for sale on ClassicTruckCentral.com to buy. If you are ready to sell your vintage truck, please read on: If you’re selling a truck that is a work in progress: A clean truck is always best. Clean it up up as well as you can. Clean out the bed and cab of any extra junk before you photograph it. If you have a truck that is mostly apart, lay out the parts and photograph those so people can see what they are buying. You might consider doing those things before you list your vintage truck for sale. Doing these things just may bring more money or help you sell it faster. Of course, if you have a show truck, it is probably ready to photography and post to the site as it sits. Photos taken outside with a nice treed setting behind often come out well. Photos taken on a sunny day before 10:30 am and after 4pm tend to cut down on the glare and give you good photo results. Take different photos to describe your vintage trucks for sale. Buyers want to see the kind of truck that you have. Be honest. People do travel to see vintage trucks if the truck looks worhtwhile. Remember, you would not like it if you drove 90 miles to look at a vintage truck, only to find that it really wasn’t what the owner said it was. Here are some things to avoid when selling your vintage truck: Never take a personal check and assume that it is good. It’s really just a piece of paper. Until your bank says it is good it’s confetti. Remember, banks may make the funds available to you a few days after you have deposited the check. That may or may not mean the check has cleared and is good. Check with your bank to make sure the check has cleared before you give up possession of your truck. Also, certified or bank checks are easily forged with computer equipment. Most people are honest and trustworthy. Unfortunately, you don’t want to be the one that gets burned. Never take third party checks signed over to you. In the end, most people prefer cash or a bank-to-bank electronic transfer. Consult your bank to see if or how you can easily do this. If a deal seems fishy, it might be. Trust your instincts.